I’m am very much a lazy music lover. I stick to curated playlists on Spotify, or playlists I made many moons ago when I had more time for such things. I have to be careful with what I listen to during the day, otherwise I find myself listening to the lyrics of songs, trying to work out what they *actually* mean, or just singing along at the top of my lungs. Today, I found Noizio. 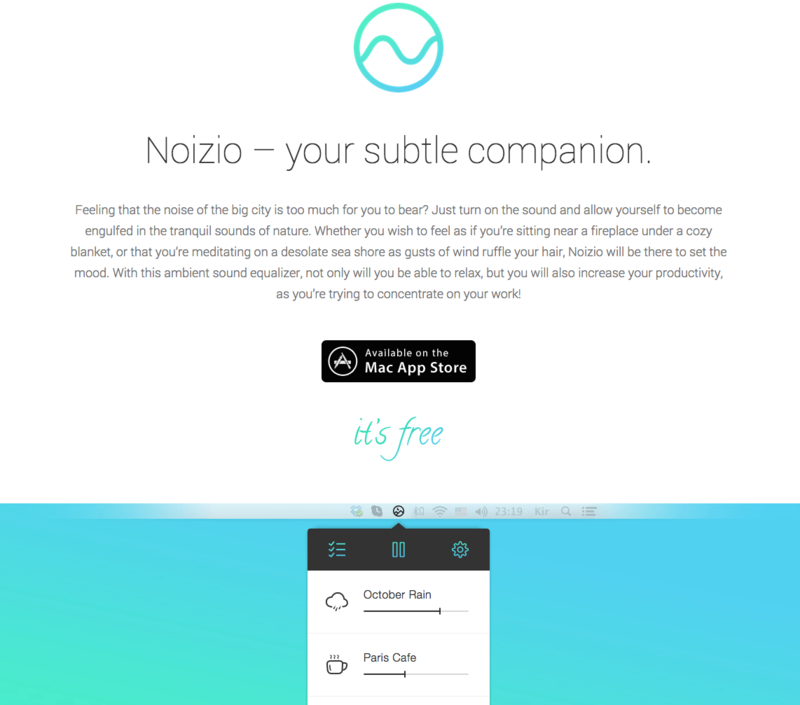 A subtle mix of white-noise sounds to help you de-stress and focus.